This guide is meant to serve as not only a walk-through on how to get the most out of LeadFuze, but to also show you what to do with the lead data that LeadFuze gives you. When you are done reading this, you should be able to implement a multi-channel approach to sales that’s completely hands off so you can focus your time having more warm sales conversations. I’m often asked how to get the most out of LeadFuze. Amazingly, we’ve gone years without a real guide walking you through LeadFuze and how to build this into your sales process. What I’m going to be sharing in this breakdown is as if you have no current outbound system in place. Mind you, it is just one way to structure things. If you already have an outbound prospecting system in place, I’m sure you will find new ways to think about the process and tweak things accordingly. What exactly does LeadFuze do? How does it help you generate leads? It’s important to understand, every deal starts with a lead. You can’t spell “deal” without l-e-a-d. This is at the core of what LeadFuze is all about…leads. LeadFuze is the starting point for outbound sales. LeadFuze aggregates the world’s professional data to give you details on people and companies in your target market. Simply put, you get email, phone, and/or social profiles for folks who would make a good customer for you. No more spending time trying to track down contact info. No more hoping they connect with you on LinkedIn so you can get to them. Once you have your list of leads – you can use our integrations to put your lead generation efforts on autopilot. A quick exercise to identify exactly who to target with your prospecting. There are entire books written on this subject, but I’m going to make this realllllly simple. Don’t have a customer? Think of who you want as a customer. If you say “everyone” you’ve already lost. Even if you think you can serve everyone, your messages are going to be so completely off the mark that you’ll never convert anyone. What other traits do they have? Maybe they spend on Adwords, maybe they use certain technologies, or they’re hiring for salespeople. Make note of this, because in the next section I’m going to show you how to use LeadFuze to find these people! Finding thousands of new leads at scale has never been easier. This video gives you a full overview of the search functionality which I won’t be covering in the examples below. In this video, I show you how to use LeadFuze to find contact information for software developers currently employed at tech companies. For this video, I go through targeting people in HR for companies that are using the Hubspot marketing software on their website who happen to also be hiring for marketing help. This one is a little trickier as we need to use the Keywords filter to find dentists. For this one, we use the Latest News filter to zero in on companies who have experienced rapid growth. Hopefully these tutorials give you an idea for how you can best leverage LeadFuze to find the leads in your target market. If you need any help, you can always click the chat button at the bottom right in order to start a chat with our team. Have your dream 100 list? Use Account Based Search to uncover contact details. Account Based Search is for when you know the companies you are targeting. This is for account based sales in particular. You can search in two unique ways. One is when you know the PERSON you are after at your target company and just want to get all their contact info . The other, is when you have a list of say 100 different companies and you are looking JUST for the Sales Manager at those companies. 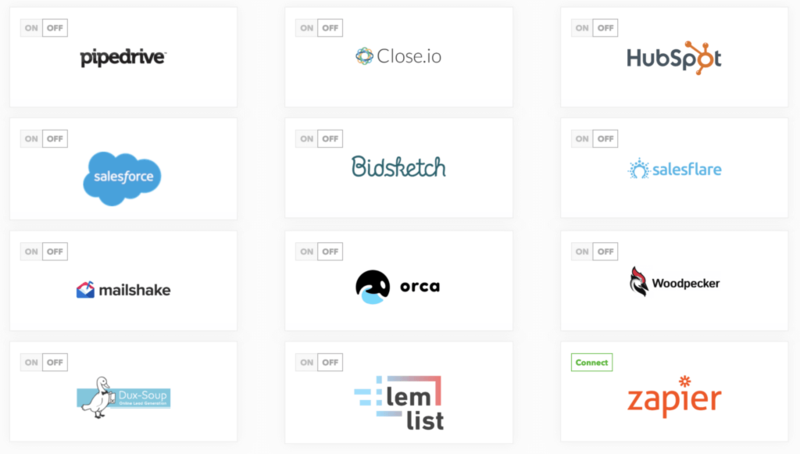 Use LeadFuze integrations to trigger automated workflows. So, you have leads… now what? You need to do something with them! This is where the power of our integrations comes into play. You can now integrate with different types of tools in order to trigger an entire sequence of actions in order to make contact with your leads. The first order of business is your CRM. If you don’t see your CRM listed, you can use the Zapier integration to send LeadFuze data to the CRM of your choice. Zapier will come in handy for other reasons, which I’ll share later as well. Your CRM is where you’re going to track progress of your leads, manage the workflow for people that show interest or engagement with your solution, etc. In order to trigger an automated workflow, you need to connect to a LinkedIn automation tool and an email outreach tool. 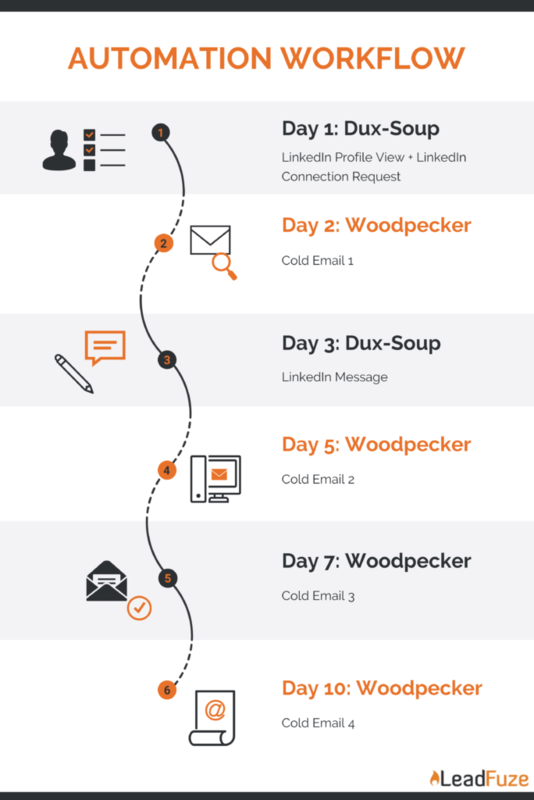 For LinkedIn, you can integrate with a tool like Dux-Soup. For cold email outreach, you can use Mailshake, Lemlist, or Woodpecker. All of which are amazing and one’s I have personally used. Since you want to space this out over several days, what I recommend is using the Dux-Soup integration and syncing that to your LeadFuze list. This way new leads that get added will automatically be sent into Dux-Soup. This way your cold emails aren’t going out the same day as your LinkedIn connection requests. Just keep in mind what you have happening in your LinkedIn sequence and the days of those happening. Mind you, this is just ONE example of how you can build a multi-channel sales workflow. We’re going to be greatly expanding our data and our integrations to give you even more options as well. Another way to use your data is to literally just export your lists (to CSV or to Google Sheets) and now you have your hit list to import the data in another tool or to use in a workflow that best suits you. For example, maybe you just want to use the file as your “CRM” and add some columns to leave notes and know where you left off. Now that you have some ideas for how to trigger your automated touch points, I’m going to share some resources that will help you make the most of your messages. Understanding what to say and how to say it, is critical to get positive responses. Is it the right fit for your target market? Some things you can’t do anything about. But, assuming you have things like the right solution for the right target market… then the biggest thing that will determine your success (or lack thereof) is your messaging. I have covered the topic of cold email ad nauseam. I was one of the first people to talk strategy around cold email. Because of that, we have a number of pieces of content ranked near the top of Google on the topic. 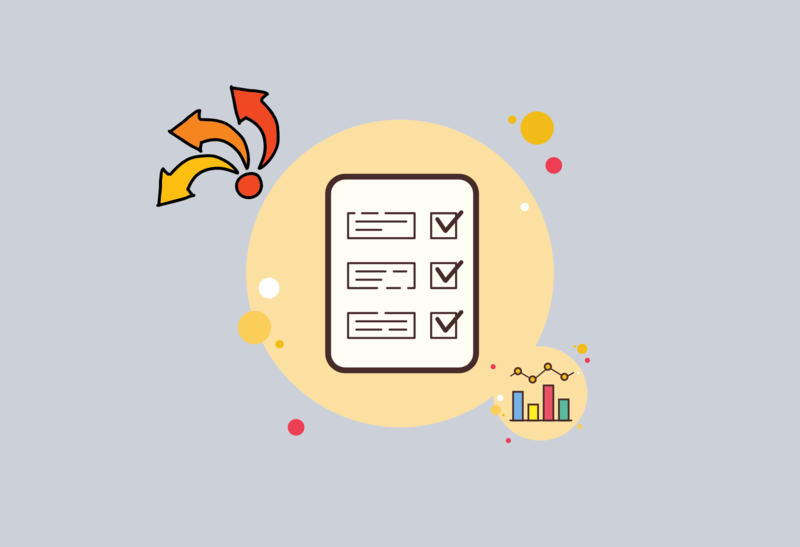 And of course you can grab the cold email checklist below this post as well! Here’s how to make your dialing efforts more effective. I’m a believer in NOT cold calling. Simply put, I don’t think it’s the best use of time for anyone. BUT, I am a big believer in calling someone that you’ve never talked to… IF they have shown some level of interest in your solution. Meaning someone that has clicked a link in an email, clicked to accept your LinkedIn invite, etc. So it’s important to have systems in place which are constantly driving those clicks. Meaning you have lead lists being built with messages flowing so that you can generate the clicks. Most of the time you’re going to be leaving voicemails. This is a great opportunity. You get an uninterrupted chance to shine. In fact, voicemails can be so powerful I prefer leaving voicemail drops with something like SlyBroadcast before doing an actual cold call. The dream scenario is that the lead is contacting ME with interest. So I try exhausting all avenues to get them to get in contact with me, before trying to cold call them directly. There you have it. Everything you need to know to be successful with LeadFuze sitting at the top of your sales stack. Thanks, Justin. I love the concepts, but am concerned about the limits I have emailing and connecting through LinkedIn. How do you get past those limits (quantity of inmails/month and overall connections)? Hey Randy – usually the automation tools have built-in limits to help protect you.